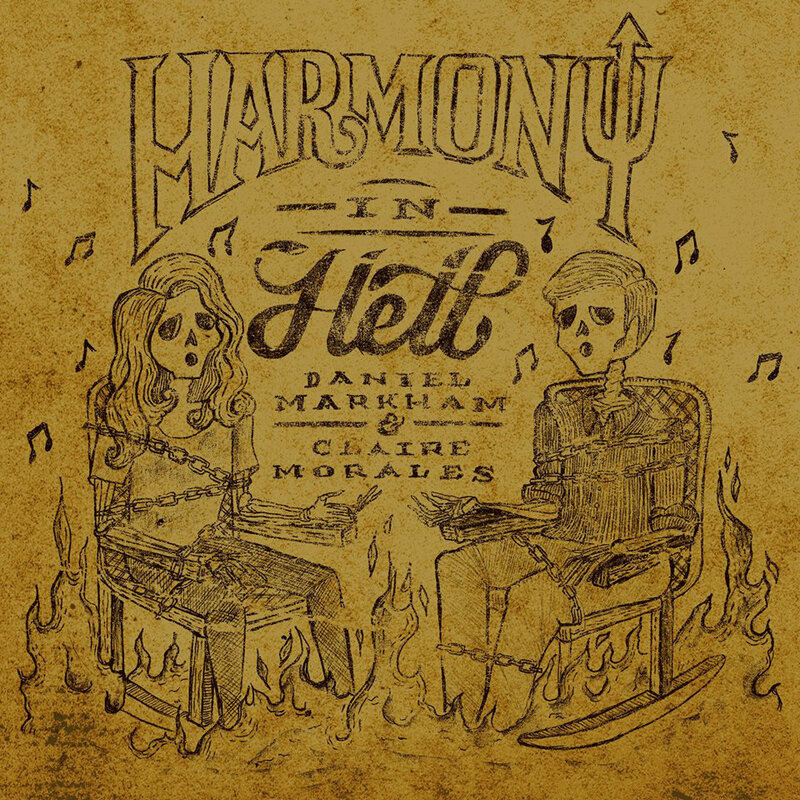 To mark Samhain, Denton, Texas musicians Daniel Markham and Claire Morales have donned musical costumes to create Harmony in Hell, a stripped-down collection of incantations for the darker half of the year. 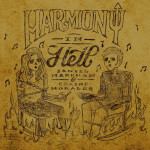 With appearances by the likes of Nosferatu (“Never Die”), a Tex-Mex harpy (“Lechuza”) and a Libertarian senate candidate from Florida (“Augustus Sol Invicticus”), Harmony in Hell features little more than strummed guitars and complementary voices that sustain a dimming light. Wisely avoiding seasonal caricatures, Markham and Morales delve into realities that exist from January to December, detailing matrimonial limbo (“Calypso”), longing (“Flame”) and religion (album standout “Invaders”). While the flickering candle of Harmony in Hell is pinched dark by a thumb and forefinger on “Extinct,” a harrowing bedtime tale of mortality, one can hope the pairing of Markham and Morales spawns more music, topical or otherwise, come the warmer months. Stream/purchase Harmony in Hell below.